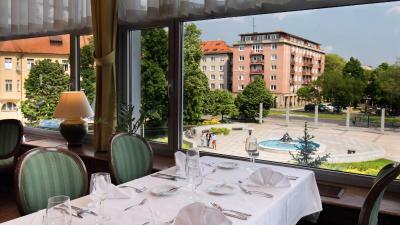 Lock in a great price for Apollo Hotel Bratislava – rated 8.4 by recent guests! Everything except the restaurant at dinner time. 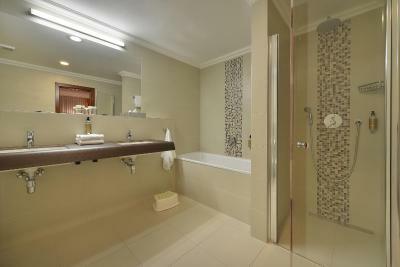 My room was spotless, the shower is amazing, quiet, great location. We arrived earlier then check in time and receptionist dis his best to accommodate us prior set time. 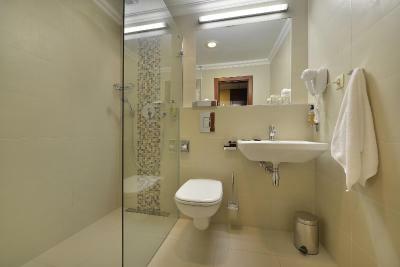 Clean, good bed, quiet..superb breakfast.Friendly personel. Front office staff very helpful. Excellent breakfast and location of hotel. I do not recommend the hotel for someone with a disability or a family travelling with young children. for such a hotel only one lift 95cm by 95cm was available. a pushchair and two adult did not fit. in the morning we had to physically carry the push chair down three stories and up two stories to go for breakfast as obviously the whole hotel was using this lift. the cleaning lady of the room was hopeless. room was not properly cleaned, towels not replaced, bar not refilled, coffee and tea facilities in room barely touched in a week and we had to call the front desk to replace on our return. we dined once at the hotel restaurant and the food was horrible and expensive. Luckily we found good restaurants around the hotel. The hotel was nicely decorated and the bed was very comfortable. Breakfast is very good and there are many choices. I like the hotel area, quit and relaxing. The salt cave makes as curious. The bathtub my doughter injoyed it. 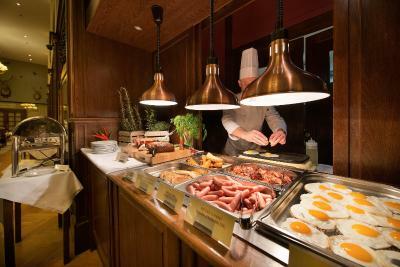 The big restaurant and the nice breakfast in the morning is good. The service recovery of the hotel in the middle of the night (we checked in close to 11pm). The room that we booked - one double room with terrace was really badly maintained and had stained sheets, with two strands of hair. We went down to the front desk and asked if we could get a room change, but was asked why we wanted a room change. The lady on duty very kindly took over the case from the night officer to handle our case and then offered us the only other room that was free for the night - the family suite, which we would rest for the night. We had a good breakfast the next day, the hotel was full but there was more than enough food to go around! 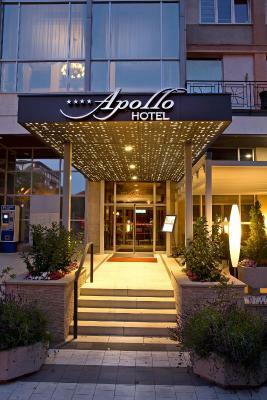 Apollo Hotel Bratislava This rating is a reflection of how the property compares to the industry standard when it comes to price, facilities and services available. It's based on a self-evaluation by the property. Use this rating to help choose your stay! 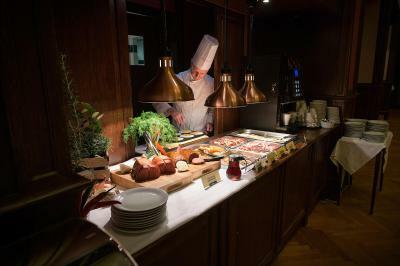 One of our top picks in Bratislava.Located between the Old Town and Bratislava's business district, 4.9 feet from the New Slovak National Theater, the Apollo Hotel features a gourmet restaurant. All rooms were renovated in 2016, 2017 and 2018 and offer free WiFi. 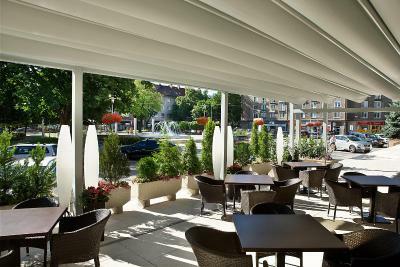 Eurovea Shopping Center is a 15-minute walk away, as well as Danube. All rooms are air-conditioned and include satellite TV with international and premium channels, a mini-bar, and complimentary bottled water and coffee and tea making facilities. Pay TV channels are free of charge. Private parking is possible in front of the hotel for a surcharge. 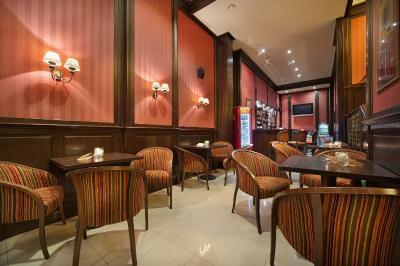 A wide range of coffee specialties and mixed drinks is served in lobby bar and summer terrace. 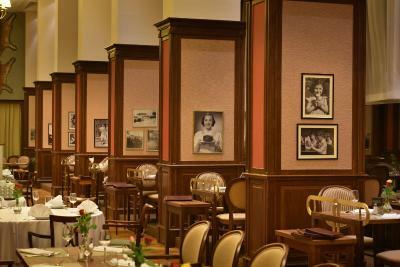 The St. Hubert Restaurant is famous for its international kitchen and its traditional game specialties. 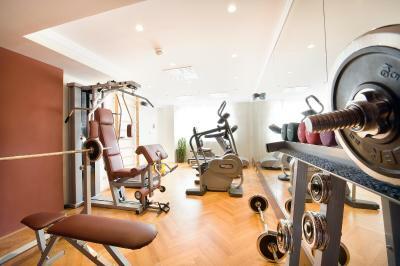 The hotel's salt cave and fitness center can be visited free of charge. 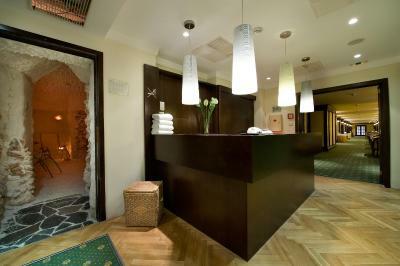 There is also a Finnish sauna which is available at additional cost. 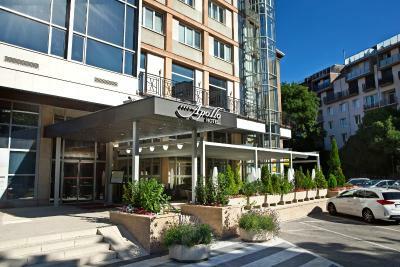 Hotel is easy accessible from all highways directions.The city center can be reached within 10 minutes by trolley bus and within 20 minutes on foot. The Mlynské Nivy Bus Station is located 2,650 feet away, and the Main Railway Station is 1.6 mi away, Bratislava's M.R. Štefánika Airport is reachable within 5 mi, and Vienna Airport can be reached within 31 mi. 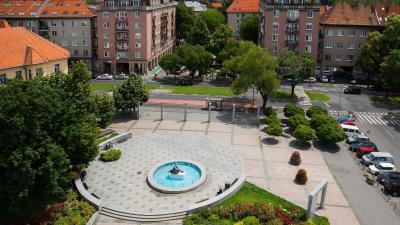 Ruzinov is a great choice for travelers interested in city trips, sightseeing and monuments. When would you like to stay at Apollo Hotel Bratislava? This air-conditioned rooms come with a seating area, a flat-screen TV with satellite channels, a telephone, a radio, a safety deposit box, a mini-bar and a private bathroom with a shower and free toiletries. This air-conditioned rooms come with a seating area, a flat-screen TV with satellite channels, a telephone, a radio, a safety deposit box, a mini-bar, a coffee machine and a private bathroom with a shower and free toiletries. There is no possibility for an extra child in this room type. This air-conditioned room comes with a seating area, a flat-screen TV with satellite channels, a telephone, a radio, a safety deposit box, a mini-bar and a private bathroom with a shower and free toiletries. 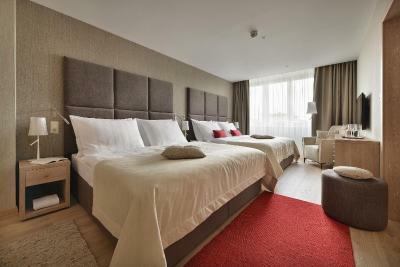 Very spacious suite featuring a comfortable living room with a work desk, a TV and a home cinema system, a kitchenette with a dining area and a coffee machine, a bedroom with a TV and a separate wardrobe, a well-lit bathroom, and 2 toilets. 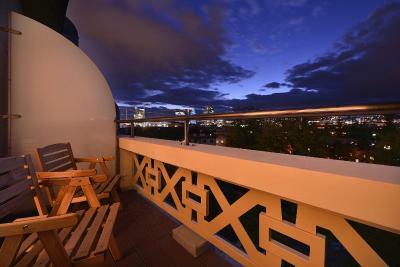 It features 35 square yards private terrace furnished in a Provincial style that provides a beautiful view of Bratislava. 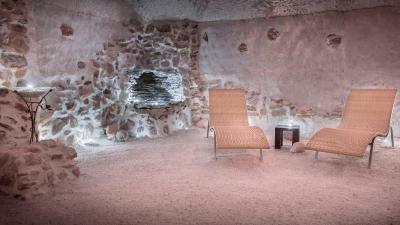 Guests enjoy free entrance to Finnish sauna, fitness center and the Salt Cave. 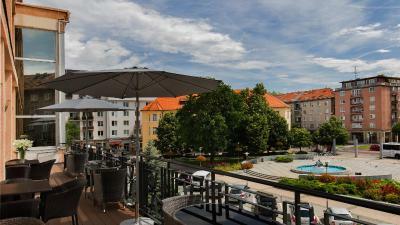 Well known traditional hotel with a friendly staff, located in the heart of Bratislava´s business and residential district,near shopping and entertainment center Eurovea. 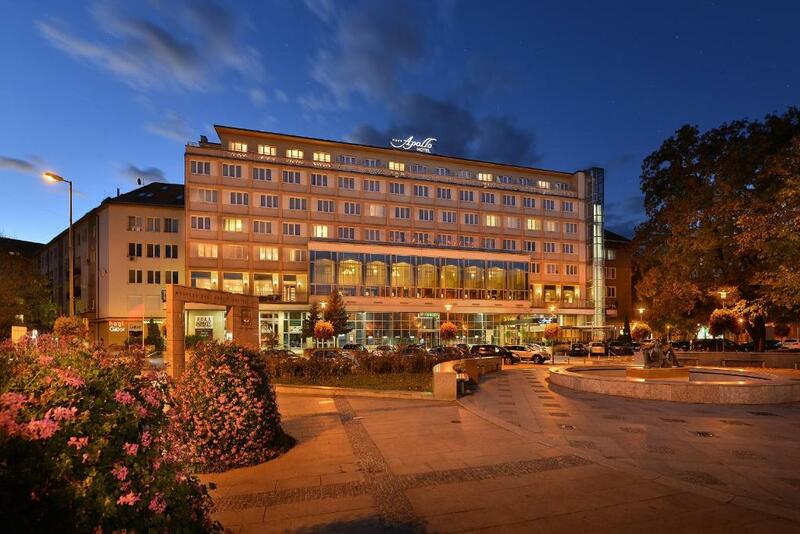 Hotel surroundings – This neighborhood is a great choice for travelers interested in city trips, sightseeing and monuments – Check location Good location – show map Guests loved walking around the neighborhood! 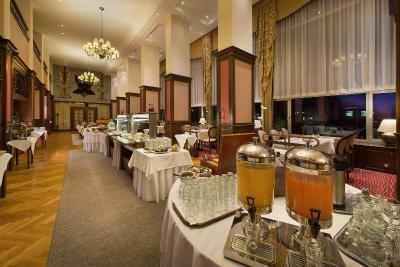 House Rules Apollo Hotel Bratislava takes special requests – add in the next step! 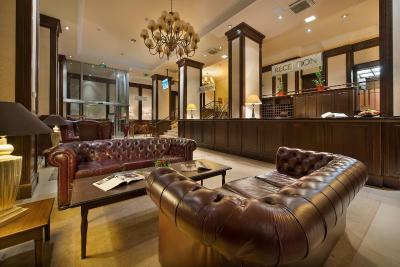 Apollo Hotel Bratislava accepts these cards and reserves the right to temporarily hold an amount prior to arrival. Please note that the parking fee is 12 EUR/parking space/night. If traveling with children, please inform the hotel about their age in advance. 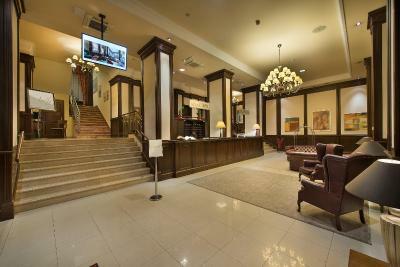 You must make an advance reservation at the hotel reception for individual services in the center. 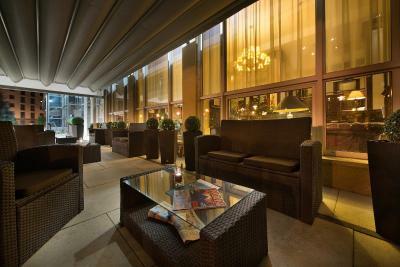 Only guests who have reserved in advance and are accompanied by a hotel employee will be allowed access. 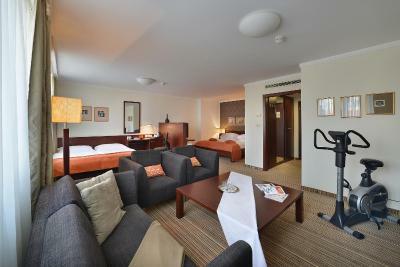 Guests requiring a confirmation letter from Apollo Hotel Bratislava for Visa purposes are subject to a nonrefundable fee. Please contact the property for further details. It was noisy with loud music during the first night of our stay, as the hotel actually provided the venue for the wedding. 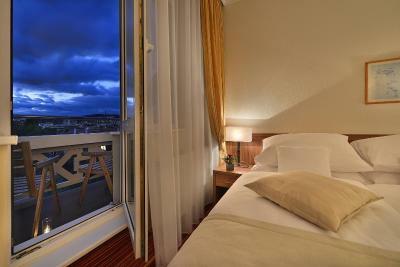 Good location; comfortable rooms; friendly staff; excellent breakfast! 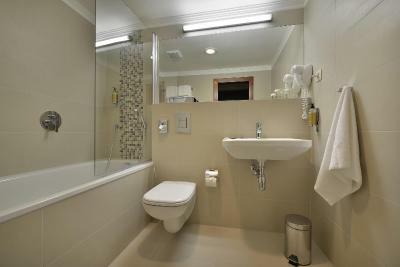 Great breakfast, spacious room with excellent bathroom and very clean. There was free coffee and tea in the room. Very helpful and kind staff. Linen wasn't changed during the 4 nights stay even with the request placing card on bed after third night still not change. We didn't like the fact that wasn't a pool, we have been 4 adults in one room(although it wasn't small) it was a bit tiny for all of us. 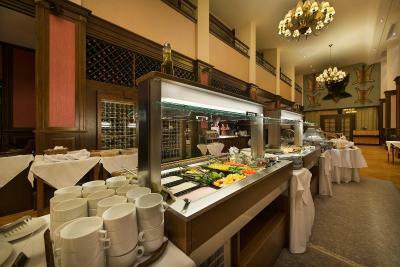 The dining room was big and there was a variety of different types of food. The service was nice too. 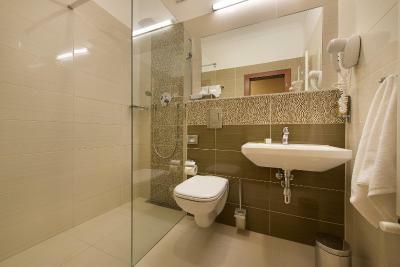 Perfect location close to city centre for moderate price. 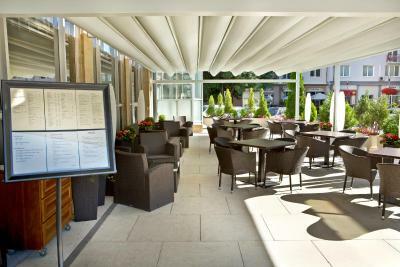 Excellent staff, helpful for extra early breakfast and taxi service. Coffee available in room. Very good breakfast, comfortable bed. Bath/shower glass inadequate. It kept closing on me whilst taking a shower. Please fix it!